is designed for optimum performance transfer that translates to superior sound quality! Utilizing finely stranded oxygen-free copper construction, soft PVC insulation for flexibility, and chemical for heat-resistance to provide you years of exceptional performance! 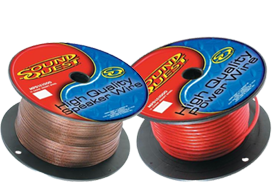 Use Sound Quest 18 Gauge Power Wire for your power wiring needs.